The Japanese video game company Konami have announced the official Euro 2016 Pro Evolution Soccer video game, set to be released on April 21st, 2016. The Wales international, and the most expensive player in the world, Gareth Bale, is gracing the cover of the new game. All the 24 teams featured in PES 2016 Euro will be in line with the real teams participating in this summer's tournament. The Euro 2016 in France starts on June 10th and the final will be played on July 10th at the Stade de France stadium in Paris. 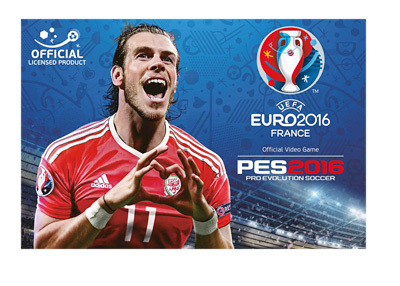 It is important to note that the UEFA Euro 2016 PES game will be sold as a standalone product, but will also be available as a free download to the existing PES 2016 users. The PES 2016 game has received outstanding reviews from the gaming community and we very much look forward to playing it's Euro 2016 edition.